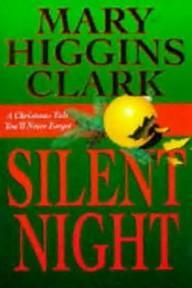 by Higgins Clark | Mystery & Thrillers | This book has not been rated. "A young mother travels to New York during the Christmas season to be with her husband, who lies desperately ill in hospital. With her are their two young sons, for whom she is hoping to salvage some of the joy of the holidays, though her own spirits are rapidly reaching a point of despair. While watching a street musician near Rockefeller Center's famous Christmas tree, Brian, the younger boy, sees a woman take his mother's wallet, and with it a precious family memento he believes will save his father's life. Without his mother's knowledge, Brian follows the thief into the city's subway system, thereby beginning a perilous journey that will change his own life, as well as those of his mother and the thief, for ever..."
Picked up cheaply, especially for BookCrossing purposes. Taken from my Christmas box on it's arrival home - tagline "A Christmas tale you'll never forget". Have read it before but will keep it moving.